An $880 million digital overhaul of NSW’s legacy rail signalling and train control operations is just one of the big ticket items in the state government’s latest budget that could see local partners tap into new lucrative public sector tech projects. The 2018-19 NSW Budget as handed down by the state’s Treasurer Dominic Perrottet on 19 June, with some fresh funding for incoming IT-heavy projects, along with continued funding commitments for ongoing tech projects. Among the biggies announced by the NSW Government is a $14.4 billion pledge for public transport and infrastructure, with $880 million committed for digital systems on the rail network to replace legacy signalling and train control with modern, intelligent systems. The $880 million funding figure is comprised of the $648.2 million to which the Budget increases government investment in 2018-19 for the replacement of end-of-life signalling systems under the Automated Systems phase of the More Trains, More Services program, which now claims about $1.6 billion over four years. It is hoped that the new systems will improve service reliability and the network’s ability to recover after major incidents. 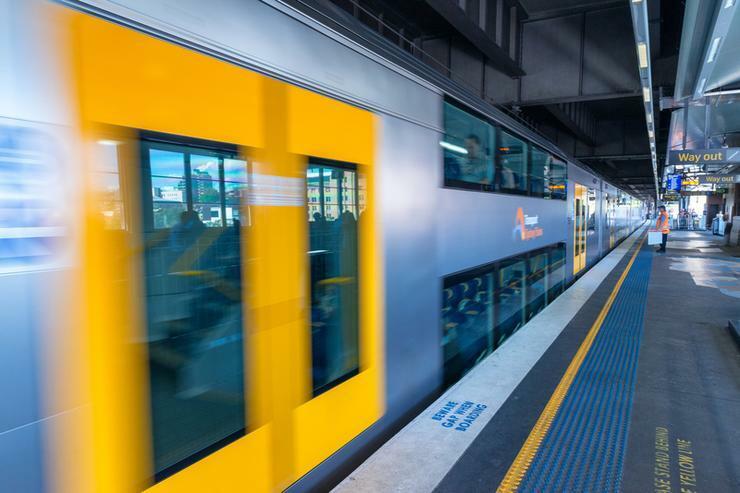 The state’s rail network has been a big buyer of IT services over the past couple of years, with Tata Consultancy Services this year winning a $76.7 million, three-year software maintenance and support deal with Transport for NSW. Also this year, Dimension Data was handed a $46.2 million multi-year contract by Transport NSW for the supply, maintenance and support of a multitude of server and desktop software products to the agency’s Transport Cluster. According to the latest NSW Budget papers, the strategic direction for the state’s rail network is set out in Future Transport 2056, the long term plan for transport across NSW. Other big ticket tech funding flagged in the latest Budget is a commitment of $52.6 million over four years from 2018-19 to support the rollout of National Facial Biometric Matching Capability across NSW, aimed at enabling access to new face-matching technology. It is hoped the new technology will increase the capability to identify suspects or victims of terrorist or other criminal activity, including identity crime. Meanwhile, the state flagged an additional $151.1 million over 2018-19 for the Critical Communications Enhancement Program, aimed at expanding the coverage of the Government Radio Network and improve critical communications during emergencies, with the program’s total funding over four years coming to $467.3 million. Additionally, the Government said it will invest a total of $385.7 million in driving innovation and digital services in 2018-19. This includes $320 million over four years ($207 million in 2018-19) for enhancing communications services needed by frontline agency staff to deliver emergency, law enforcement and essential community services to the state. Also included in this innovation and digital services investment commitment is $20 million for improving mobile coverage and eliminating mobile black spots in the state by investing in new and improved base stations. At the same time, the NSW Government is spending $20 million over four years for managing its preparedness for and response to cyber security issues across all agencies. Moreover, $9.3 million will be spent on developing and providing digital drivers’ licence and digital photo cards to residents across NSW, an initiative that has already seen the introduction of new legislation to enable a state-wide rollout of the digital drivers’ licences. Also in the latest budget is a $9 million investment for upgrading broadband infrastructure and improving internet access across regional and rural NSW, along with $8 million to expand the range of transactions and services that can be undertaken digitally. Much of this funding is part of the state government’s commitment of $534.8 million aimed at achieving a stated outcome of digital leadership and innovation in government services, with $285 million recurrent expenses and $249.8 million capital expenditure in 2018-19. “This outcome also encompasses the delivery of whole-of-government ICT platforms and services, the management of ICT assurance and procurement functions, the delivery and management of the NSW Telecommunications Authority, and leading the digital government strategy, spatial services delivery and regional digital connectivity initiatives,” the Budget papers said.